I grew up loving fried chicken gizzards. Today, you can easily find the packages of chicken gizzards and hearts for $2 or less on sale at most grocers. As a rare fried treat, you can't find much cheaper! But how do you fry chicken gizzards? And what's with the chewy texture? Can you fry tender chicken gizzards? Yes, you can! Here's how to make restaurant-quality gizzards at home for your family! 3. Boil for a minimum of 30-minutes for chewier gizzards. Boil for 45 minutes for more tender gizzards. 4. Drain the water off and allow to cool. You can also rinse the gizzards with cool water to help them cool faster for handling. 5. Prepare two bowls for dredging. One should have 2 eggs beaten. The other should have a mixture of flour, salt, and pepper, OR you can do half flour and half panko bread crumbs seasoned with salt and pepper for a crunchier breading. 6. Dip each gizzard in the eggs, then the flour mixture. Drop into preheated vegetable oil in a small stock pot OR use a fryer. When the gizzard floats to the top, it's done! 7. Remove carefully from the oil with a spatula designed for frying, and lay the cooked gizzards on a plate lined with paper towels to absorb the extra grease. Enjoy while hot! These are one of my favorite food memories. 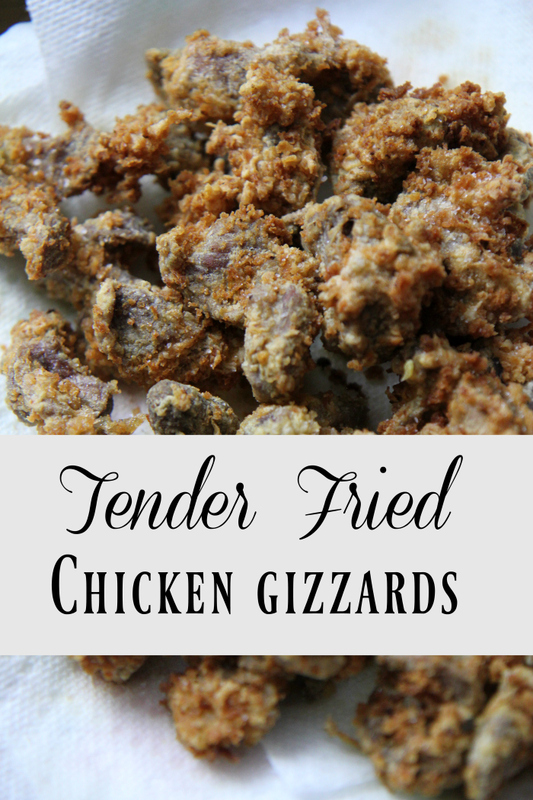 I think you'll enjoy how to fry tender chicken gizzards for your family!